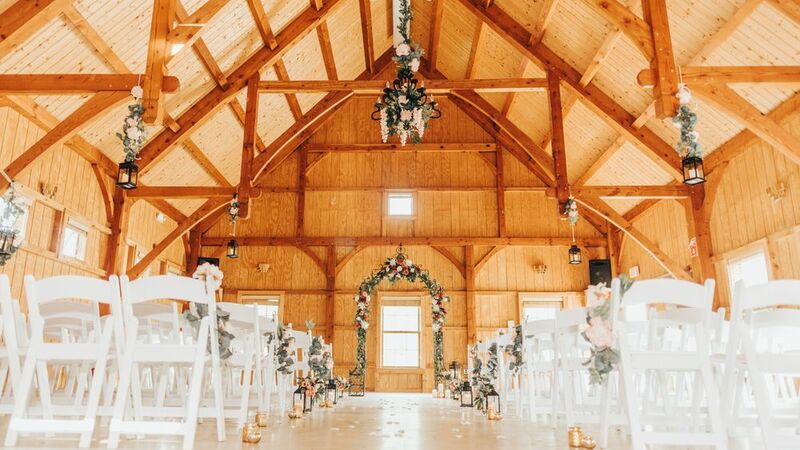 Just 40 minutes outside of Hartford, CT, the White Oak Barn pairs an elegant lofted post-and-beam barn with the amenities and fun of a traditional summer day camp. 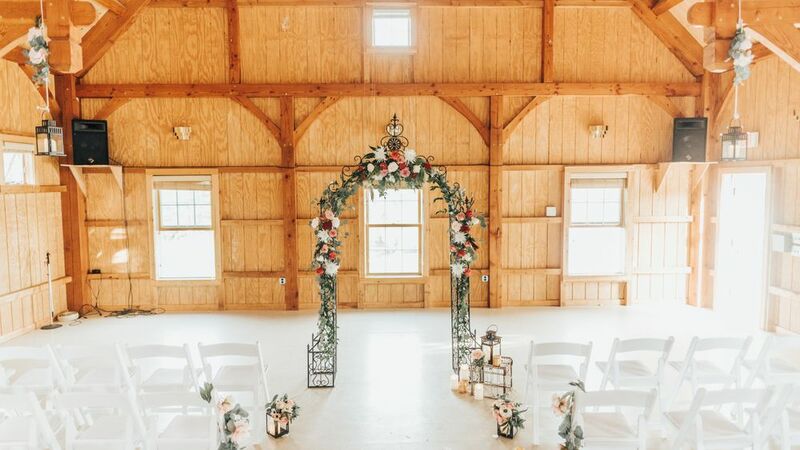 Utilize the indoor barn space for a ceremony site, cocktail and dancing, or intimate seated dinner. 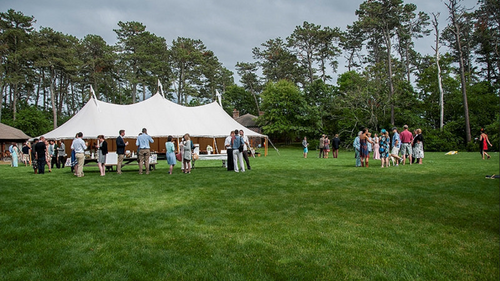 For larger events you'll have access to the on-site 60'x90' tent for up to 270 guests for a fully tented outdoor reception. Looking to enjoy an entire weekend filled with family, friends and relaxation? 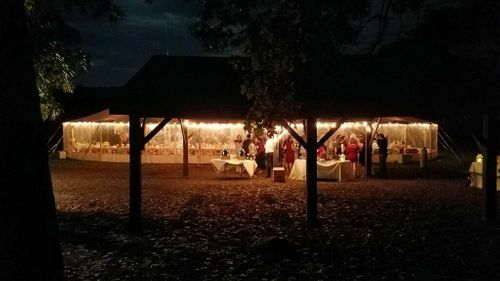 This venue features over 25 acres with walking trails and countless sporting courts and activities. 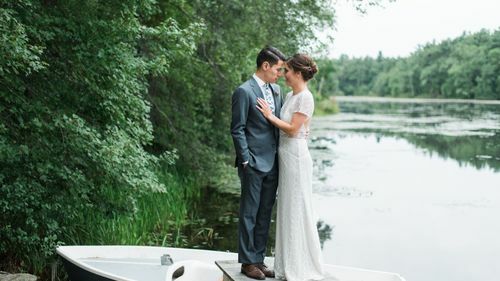 From its two 25-yard swimming pools, basketball courts, children's playgrounds, miniature golf course, softball and soccer fields, your guests are sure to find something to enjoy, leaving memories that will last a lifetime. 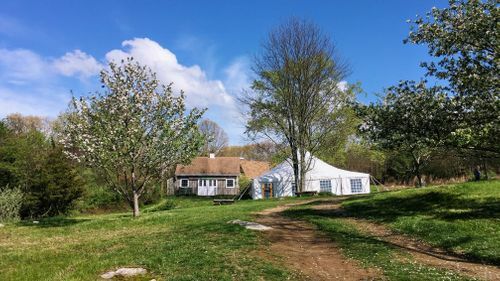 Tent - 60' x 90' ft tent on-site. Accommodates up to 270 guests. 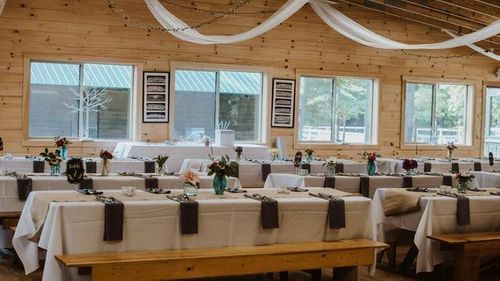 Changing Rooms - Camp Store and Nature Center available for wedding party use and preparation. Restrooms - Separate restroom house near event tent. Parking - Up to 100 guests on site. Nearby overflow parking available. Internet Service - Guest WiFi network available for all wedding guests. Electric Power - Commercial grade. Available at ceremony and reception sites. Included Activities: Basketball Courts with adjustable height backboards, Playgrounds for children, Miniature Golf Course, Softball and Soccer Field, Volleyball and Badminton Courts, Foursquare and Pickleball Courts, Horseshoe pits and a Bocce court. 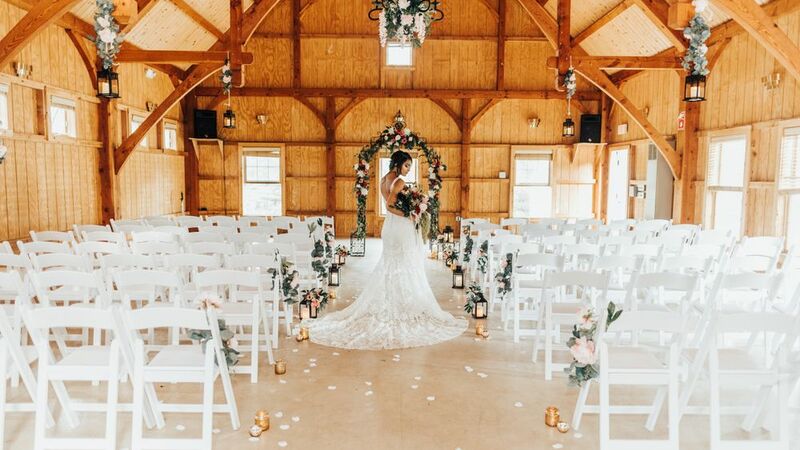 White folding chairs are available for $1 a chair for reception and ceremony. 25-yard swimming pool with bathhouse and showers, plus lifeguards ($50/hour) - Available (June-August), weather dependent. Open Flame Policy: No flame in enclosed tent. Decorations: Tent: tape allowed, no staples. Barn: no helium balloons; no staples that cannot be easily removed; tacks and push pins allowed. Trash and Recycling: Trash and recycling cans on site. Couples must consolidate in designated area. Venue Access: Friday access begins at 4pm (June-August) due to ongoing camp activities. Limited drop-off considered upon request. Town Ordinances: 10:00 pm local noise ordinance.